Based on the familiar WWII-era musette bag, the Satchel features a removable weather flap with hidden direct-access waterproof zipper and passport pocket. 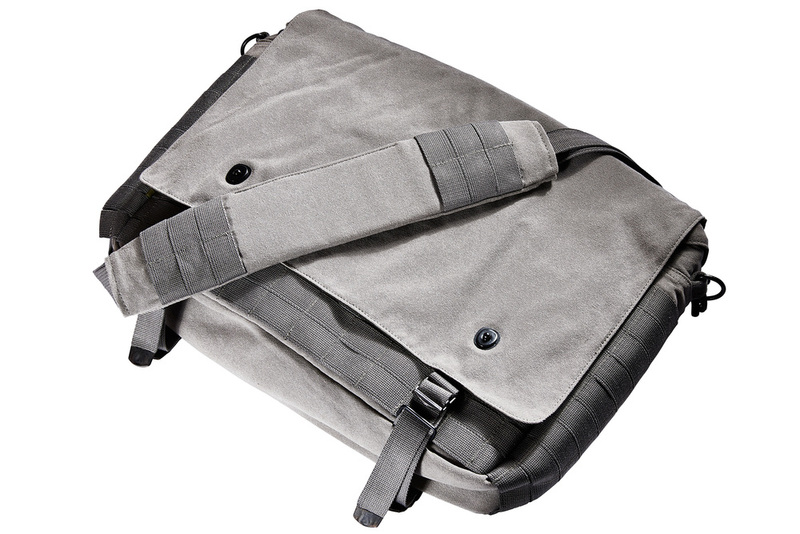 Two bags in one, removable flap and customizable handles convert the bag from a messenger to a briefcase. Holds up to a 15" laptop.